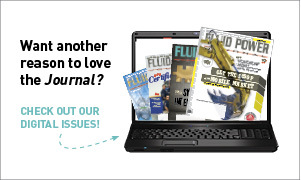 In an effort to combat the skills gap in fluid power and other industries, Fluid Power Journal, in collaboration with the International Fluid Power Society (IFPS), established an online salary survey in order to create a baseline resource for professionals. The survey will run from April 1 through June 30, 2019. Fluid power professionals from all ages, backgrounds, locations, experience, and skill levels will answer questions regarding compensation, benefits, job satisfaction, and how IFPS certifications influence their careers. The results of the survey can assist employers and managers in ensuring that their employees’ salary rates and benefits are comparable to others in the industry, enabling them to attract and maintain top talent. Employees can view how their numbers rank against the averages set forth by their peers, using this information as a guide when seeking new career opportunities or advancing in their current positions. Take the survey below. If the survey does not show, click HERE visit the survey page.